The annual ÜBERALL App Congress , the largest conference on this issue, took place in Vienna, Austria, on June 25th and 26th, 2014. Mobile learning is highly valued at LearnChamp, which is why we were on site and have put together this ‘best of’ with the most important information for you. The increasing importance of mobile learning was emphasized again and again by exciting startups and in different presentations. Experts spoke about the role mobile apps play in our lives in three different tracks on enterprise apps, digital marketing, and interactive. When users install apps, they decide whether or not they are going to keep them within eight seconds. For this reason, apps need to be appealing and self-explanatory from the outset. When it comes to mobile learning, learning experience plays an important role alongside the user and customer experience. This is about turning satisfied customers into enthusiastic ambassadors. To do so, Isabell Cholette used her ‘APPsolutly Customer Experience’ presentation to promote the use of emotions, compassion, needs, and fantasy over Excel spreadsheets. Learning experience refers to every interaction that takes place when it comes to learning. The question is: What learning experiences has the user already had? School work? Presentations? Practical exercises? In the past, it was possible to track these traditional experiences with e-learning. Using the new TIN CAN API SCORM version, it is now possible to ensure that every user experience that increases competency or potential contributes to the overall learning experience. e-learning in particular involves knowing and addressing the target group. In e-learning, the level of familiarity with the advantages of the digital world will be expanded – on all terminal devices. This way, people who have not grown up with new media can learn successfully and satisfactorily without any obstacles. 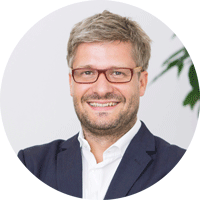 With more than 16 years of relevant working experience, LearnChamp’s director of e-learning solutions, Stefan Reicher, manages state of the art e-learning projects and develops innovative solutions for companies of all sizes and industries. He is not only member of the Adapt Steering Group but also a founding member of the Monkey Club.